I'm trying my best to ignore the cold blast outside. I'm thinking ahead to warmer days and sunny skies. 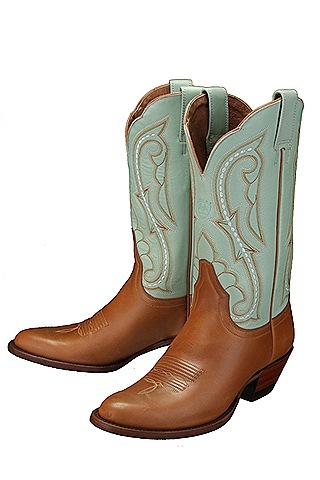 I've been wanting a new pair of boots to wear with my summer skirts. Something in a western kitsch look. Not too tall on the leg or high on the heel. If I was rich I would have these. These would be so awesome. But instead, these will do just fine. Especially since they were on sale. 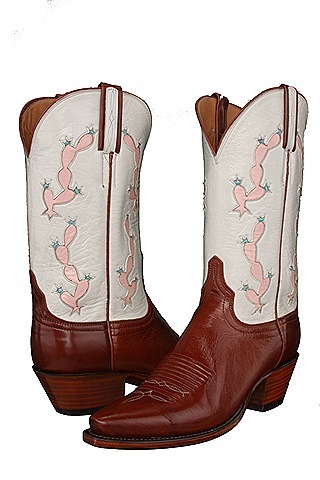 These beautiful boots and more are available on eBay at a wonderful store, Grapevinehill. Unbelievable selection and fabulous customer service. I'm sharing my source because I'm nice, but don't even think about getting those fabulous cactus boots. I'm saving up for them! Serious Cowgirl cuteness going on here! Great boots! I love the aqua ones. Suzy, these are soooo you! I’ve been looking at boots too. To wear to the wedding. Like you, I love the ones with the inlaid designs. EXPENSIVE! I’m looking for something with pink in it. LOVE yours! I like the first ones but I love those green ones!!!! I actually prefer the ones you got!